You can taste Kankiku, KANKIKU MEIJYO. from Chiba prefecture, and Suisen, Suisen Shuzo from Iwate prefecture. Kankiku brewery is in Sanmu city, blessed with rich nature and temperate climate in Chiba prefecture. The city is bordered by the Pacific Ocean to the east. From Tokyo station it takes about one hour by limited express JR Shiosai. It is good distance for you to escape the noise of the city. In this town, there is beautiful sea. People often come here to surf. In the summer time there are a lot of people want go to sea. There is a bus service that runs time to time from the JR Naruto station to the beach during the months of July and August. These buses run free of charge as long as you are only going to the beach (the first stop). In this are there are lots of sweet and delicious strawberry farms. In early spring, many people visit to pick strawberries at the farms. Reservation are not required but recommended. You can eat as many strawberries as you want while picking and you pay by the time limit, usually two hours and about 1000yen. Kankiku brewery is founded in 1884. In the site of the brewery, there is a over 200 year-old persimmon tree. They brew sake with spring water from the root of the tree. It contains high minerals and hard water. It makes powerful fermentation and sake becomes tasteful flavor. Because summer is off season of sake, the Kankiku owner tried brewing beer for summer. Even Dassai tried brewing beer and failed in beer business, but Kankiku made it with big effort. Now Kankiku’s beer business is stable and also highly reputed. It was a fateful moment. At 2:46 p.m. on March 11, 2011, a magnitude-9 earthquake hit eastern Japan, impacting the 24,000-plus residents of Rikuzentakata, Iwate Prefecture. Minutes later, tsunami more than 10 meters high — at one location 17.6 meters — hit the coastal town, devastating the city’s entire low-lying downtown area. Suisen Shuzo, a historic sake brewery was preparing to ship its 2010 stock. Without warning, the Great East Japan Earthquake began rumbling off the scenic Iwate coastline. Shortly thereafter, brewery owner sent his employees home for the day to check on and be with their families. Twenty minutes later, a tsunami tore through the city of Rikuzentakata, obliterating the award-winning brewery (nestled two kilometers from the coastline) and tragically taking the lives of seven Suisen employees. The entire town’s foundations were scattered across several kilometers of Japanese countryside. The process of rebuilding Suisen was not easy. In order for them to quickly get back on their feet, a rival brewery, Iwate Meijo, extended their hand and offered Suisen use of their facility to brew their sake. Meanwhile, construction began on a new brewery, about fifteen kilometers up the coast from Rikuzentakata in the town of Ofunato. In August of 2012, less than eighteen months after the disaster, the new Suisen Shuzo opened. You can taste Nishinomon, Yoshinoya from Nagano prefecture, and Harada, Hatsumomiji from Yamaguchi prefecture. Yoshinoya Sake Brewery was founded in Kyoto, the business was moved Nagano in 1637. Yoshinoya brewery makes Miso as well, and merely 2 minutes away from Zenkoji Temple which is one of the most important and popular temples in Japan. Yoshinoya is one of Nagano’s local sake breweries. The sake is produced with local high-quality rice and mountain spring water, creating one of Nagano’s best brews. 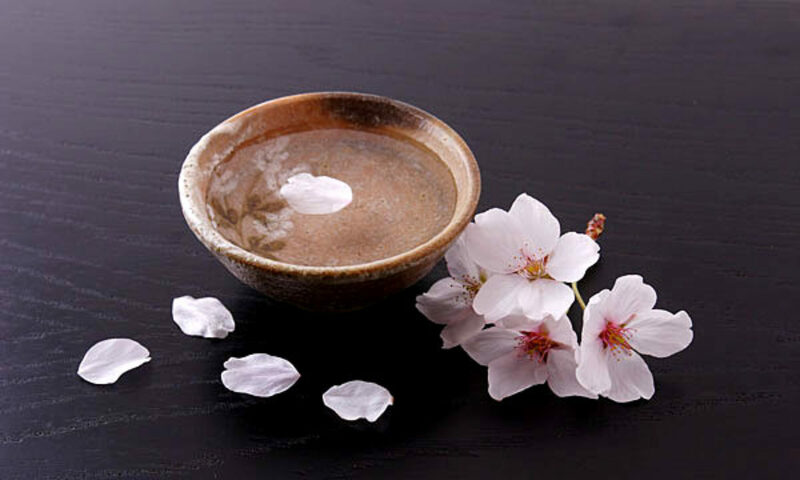 There is a wide variety of different sorts of sake, as well as Japanese plum wine, their own brand of miso, and non-alcoholic amazake, or sweet sake in English. The best part of visiting Yoshinoya is that you can taste all their produced drinks and foods for free! This is the place to go for sake lovers! If you go to Nagano, don’t miss tasting sake, viewing the brewery and Zenkoji temple. Hatsumomiji is located in Shunan city, Yamaguchi. In the past several years, the light display of industrial complexes have become popular in Japan. You can enjoy the glittering lights of these industrial areas on a night cruise. The Shunan area is famous for this scenery. The Shunan industrial complex is one of the oldest in Japan, with several dozen kilometers of industrial areas facing the gentle waves of the Seto Inland Sea. The flowing smoke from rising smokestacks and illuminated massive tanks and ducts look like something out of a science fiction movie. Hatsumomiji is founded 1819. However, due to various factors they did not brew sake for 20 years until 2004. They outsourced brewing sake to keep their brand and they did mainly wholesale business. It worked with great efficiency because the brewery is located in the entertainment district. They restarted brewing sake in 2005. As Hatsumomiji owner won many times in Sake tasting competition in Yamaguchi and also made it to the semi finalist in Japan, he had a confident to make good taste sake. But they did not have equipment and lent the ground floor to an Izakaya at that time. Most of brewery produce sake from autumn to winter in cold season. However, as Hatsumomiji did not have space, they choose all year round producing style. They use small tanks and small number of people to brew sake. It makes precision control possible, which in turn allows them to brew high-quality sake in small quantities. You can taste Yamatan-masamune, Yagi Shuzobu from Ehime prefecture, and Sawanoi, OZAWA SHUZO CO.,LTD. from Tokyo prefecture. The Yagi Shuzobu founded in 1831. It is located in Imabari city, Ehime. Imabari city is the second largest city in Ehime. In the center of the city lies Imabari Castle. It was built by Todo Takatora in 1604. The castle is unusual in that seawater is used in its moat. The coast around Imabari is very attractive, and the beaches along the Seto Inland Sea are good for swimming. They’re characterized by orangey-yellow sand, backed with picturesque pines that give off a pleasant scent in the heat of summer. Imabari city is the starting point of “Shimanami Kaido”. It is an extremely popular destination for cyclists from around the world. The series of bridges makes an approx. 70 kilometer-ride, links Onomichi, Hiroshima Prefecture. The cycling on the bridges over Seto Inland Sea under the blue sky will make your journey memorable. In the Yagi Shuzobu, they challenge to brew the fermentation process takes place in a Kame (large crock). Nowadays stainless steel tank is mainstream but Kame has got microscopic holes that allow them to breathe, which makes them great for fermentation. The thick ceramic wall creates a more stable fermentation temperature, resulting in sake with a greater depth of flavor. On the other hand it is difficult to adjust temperature in the fermentation process and need to be handled very carefully. Yagi Shuzobu is aiming to brew more delicious sake to revive traditional method. Fruity fragrance and a gentle, mild flavor. Ozawa Shuzo is located in Ome City, in the western part of Tokyo (3 minute walk from Sawai station on the JR Ome line). There are spectacular views of mountains and the Mitake valley in Okutama as well as sake breweries, restaurants, shops, art museums, allowing visitors to enjoy a full day here. There are guided tours of the factory followed by a free tasting of the final product at 11am, 1pm, 2pm and 3pm each day. It’s free to take the tour, but participation is by reservation only, so you’ll need to call (or get a Japanese friend to call for you) to assure your place. At the start of the tour, you’ll be given an English pamphlet explaining the process of making sake. The tour itself though, is conducted entirely in Japanese. Even if you can’t follow everything, the tour should still be interesting. The oldest of the buildings dates back to at least 1702. You can also view the original spring from which Sawanoi’s product is produced. There are also the special tours (held a few times a month) which are whole conducted in English.